If we’ve never met in person (or you’re not on my Facebook feed), you might be blissfully unaware that we are big Kansas City Royals baseball fans. We are not in attendance today because we gave our tickets to some very special people. 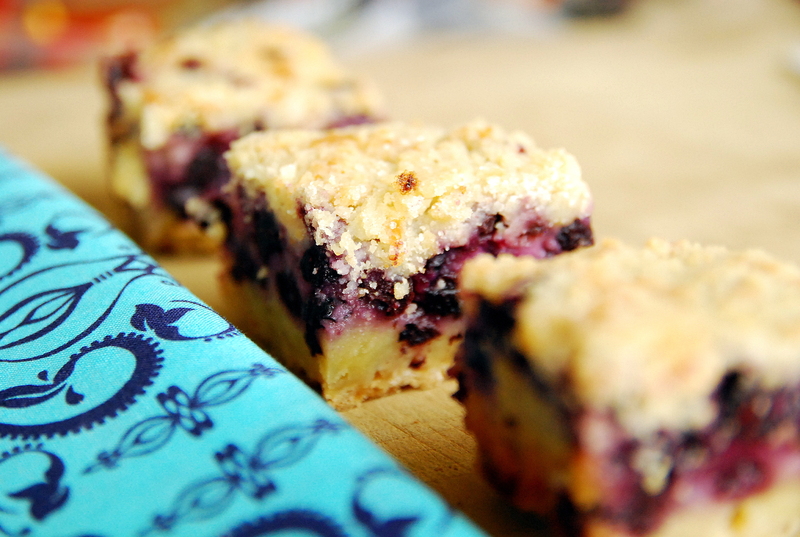 But we did make these delicious Blueberry Shortcake Squares for our boys in blue. Because, the theme of the day is BLUE BLUE BLUE! 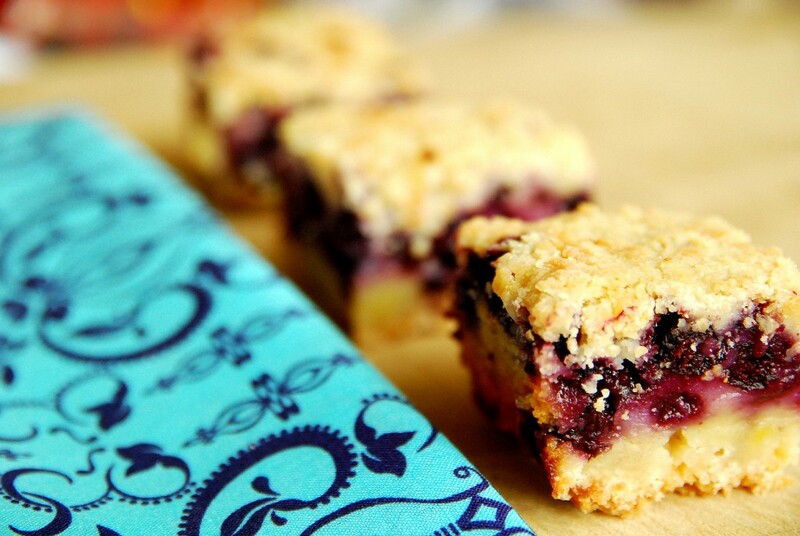 Even if you’re not a baseball fan, I promise you will love these simple and easy bars. They are perfect for a picnic or to take to someone’s house for a spring or summer party. Will you humor me one more time? p.s. You can use fresh or frozen berries. If frozen, thaw, drain and pat away moisture. Even doing this I still had to bake longer because of the extra moisture. Heat oven to 350°F. Grease an 8x8-inch pan with non stick cooking spray; set aside. For the crust, combine the flour, sugar, and salt in a food processor. Cut the butter into 1/2-inch pieces and add to flour mixture. Process until the butter is evenly distributed but the mixture is still crumbly (about 30 to 60 seconds). Reserve 1-1/2 cups of the mixture for the topping; set aside. Press the remaining mixture into the bottom of the prepared pan. For the filling, whisk eggs in a large bowl, then add the sugar, greek yogurt, flour, and almond extract. Gently fold in blueberries. Spoon the filling over the crust and sprinkle the reserved topping mixture evenly over the filling. Bake 50 to 60 minutes or until top turns golden brown and center is set when you jiggle the pan. Cool completely. Chill before serving for easier cutting.